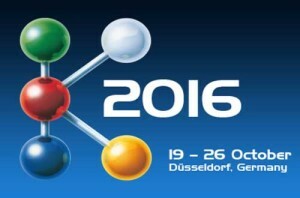 From 19 to 26 October, all eyes in the world of plastics will again be on Düsseldorf. This is when K 2016 will be presenting the industry’s innovations and world premieres. One of the main attractions of the trade fair is the special show in Hall 6. Now being staged for the ninth time, and in addition to the extensive array of exhibits at K, it serves as a central forum for an exchange of information, ideas and opinions for trade visitors and the interested public. This time under the motto “Plastics shape the future”, the focus will be especially on the functionality, aesthetics and sustainability of plastics. The backbone of “Plastics shape the future” will be seven theme days of talks, keynote speeches and panel discussions on “Plastics Industry 4.0”, “New materials”, “Lightweight Design”, “Marine litter”, “Youth and Education”, “Plastics meet Design” and “Resource efficiency”. Experts from the worlds of science, business and politics will be reporting on and discussing the economic, social and environmental challenges and potential solutions. Each theme day kicks off with a talk by an acknowledged expert and comes to a close with a panel discussion. One of the high points of the special show will be the talk by Prof. Dr Ernst-Ulrich von Weizsäcker of the Club of Rome on Tuesday, 25 October 2016. Von Weizsäcker will be speaking on “Resource Efficiency – challenge for centuries”. One should also make a note oftrade fair Sunday, because this is when, among others, Olympic winners and the world champions of Team Kunststoff will be visiting the fair and the special show.